BACSAC provide weightless, flexible and user-friendly plant pots. They also specialise in weightless and portable bags that allow for easy transportation everywhere, inside the house, outside on the terrace, the balcony or in the garden. 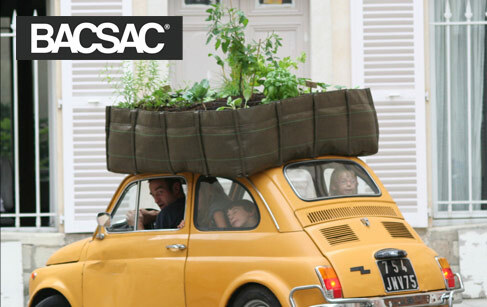 BACSAC is a new generation of flexible plant containers. Their double-walled geotextile fabric, 100% recyclable, maintains the necessary balance between air, soil and water. Frost and sun resistant, this flowerpot new generation suits all environments.